mostly crafty. mostly. 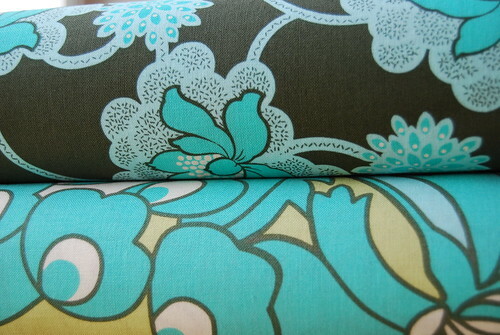 : new Amy Butler fabric! 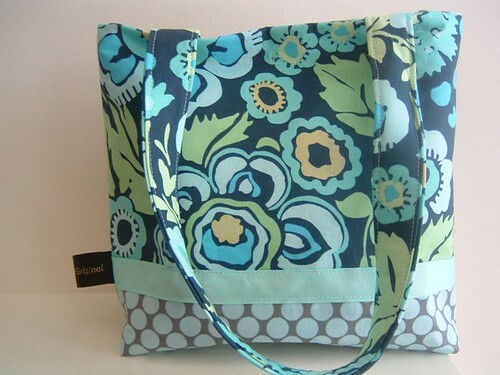 I am simply in love with the new Amy Butler Daisy Chain fabric. I saw it online last Friday, and sent a few links to my Mom to check out. My very resourceful Mother called around to a few fabric stores in order to find it. We ended up driving all the way down to Franklin, only to find A) they did not have Daisy Chain, only other AB collections and B) we didn't bring the measurements of the furniture to cover. DOH! So yesterday, after my 14 mile training run, I stopped by Quilts Plus since it was *right* next to our finishing point. Convenient! They did have the fabrics, and they are even prettier in person. I also loooove this handbag! I can't wait to head back up to the store to get all the yardage I need!